We are enjoying our new tripod very much. The photo shows our 127mm Maksutov-Cassegrain sitting atop the new Orion “Versago” III MicroMotion Altazimuth Mount. The new mount provides micro-motion controls for both altitude and azimuth for smooth centering and tracking of objects, even with our most powerful eyepiece. This is a vast improvement over our “old” tripod with it’s “Grab and Tug” telescope mounting. We took the new equipment for a test run a couple of nights ago, and enjoyed seeing Saturn in all it’s glory. Our next big investment in astronomical equipment will probably be a computer controlled Equatorial GoTo mount that will allow us to do better astrophotography, but that’s a bit pricy for our budget at the moment. 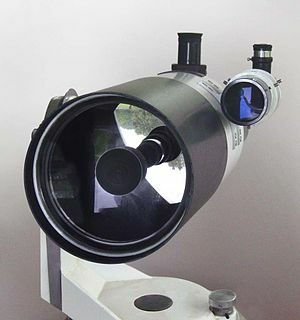 Meanwhile, we will continue to enjoy astronomical exploring with the equipment we have on hand. 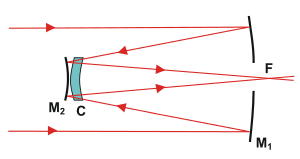 This entry was posted in Astronomy and tagged astronomy, cassegrain telescope, telescope, Tripod. Bookmark the permalink.
. . . and, in reply to your question about star gazing, we are still exploring the night sky, but the “June Gloom” with it’s foggy/cloudy weather extended through July, so opportunities have been somewhat limited of late.